Many librarians are drawn to the profession by the opportunity to be of service to our community. We spend our days connecting people to the information they need, supporting early literacy, helping people look for jobs and health information, and so much more. As a caring profession we often also find ourselves in the streets protesting with our neighbors. One thing we can do is bring our skills into the streets with us, just like we did at the Families Together March on June 30th 2018. 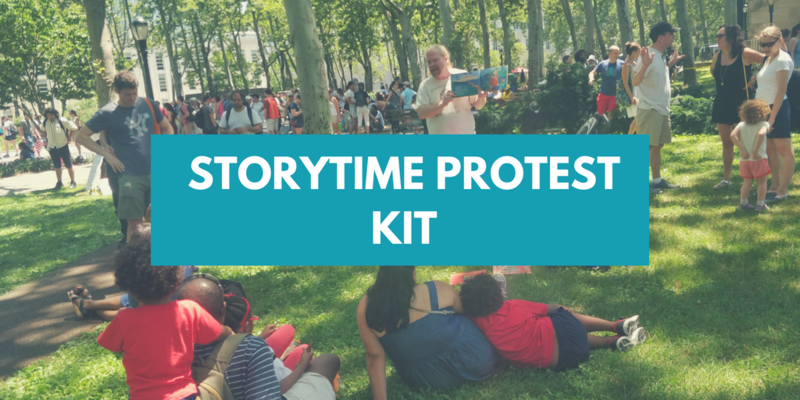 Please see below for a brochure version of our Storytime Protest Kit, adapted to work for a variety of issues, with logistics supplies and starter book lists. Protests can be about sharing information, expressing your values, and being heard. As librarians, we know that storytime can be subversive, storytime can be protest, and storytime can be a way of talking about issues in an age appropriate way. Holding a storytime at a rally can be a great way to keep kids occupied and learning during the waiting periods. Please join us and bring storytime to your local protest. Have your talking points ready (see below) Why are you there? What are you reading? Why these books? Please let us know you went, and send us photos and the location. We want to keep adding to the booklists, so if you have a suggestion, send it in using the Contact Us page! Currently the United States Government is holding thousands of children separate and apart from their families in detention centers across the country. Toddlers are being forced to appear in court without their parents, families are being told that if they apply for asylum they will never be reunited, and the government has done nothing more than offer lip service to the complexities of reuniting these families. We say NO! We say this is unacceptable. We cannot bear silent witness to this abomination of American society. We will speak persistently, loudly and often. WE WILL NOT BE SHUSHED. 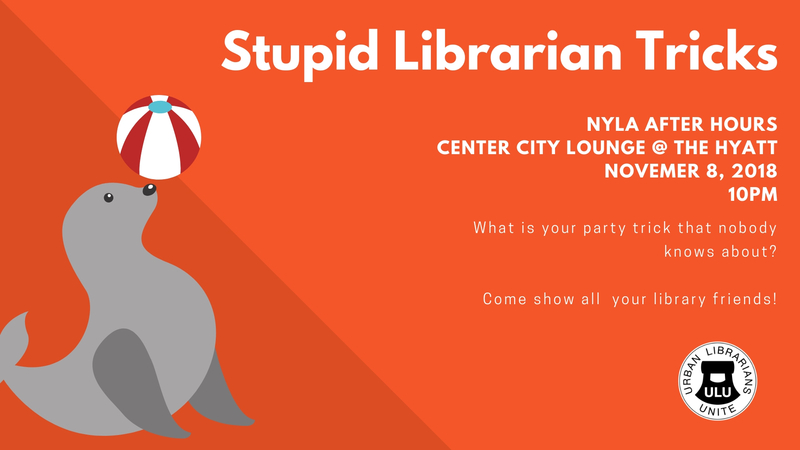 Urban Librarians Unite has been using storytime as protest for many years. We are joining in the rallies to reunite families by offering storytime at protests. Children should be with their families and those families should be able to go to storytime. Every child has a right to storytime. Please take a look at this document that has suggestions about how you can do storytime at protests in support of these families. 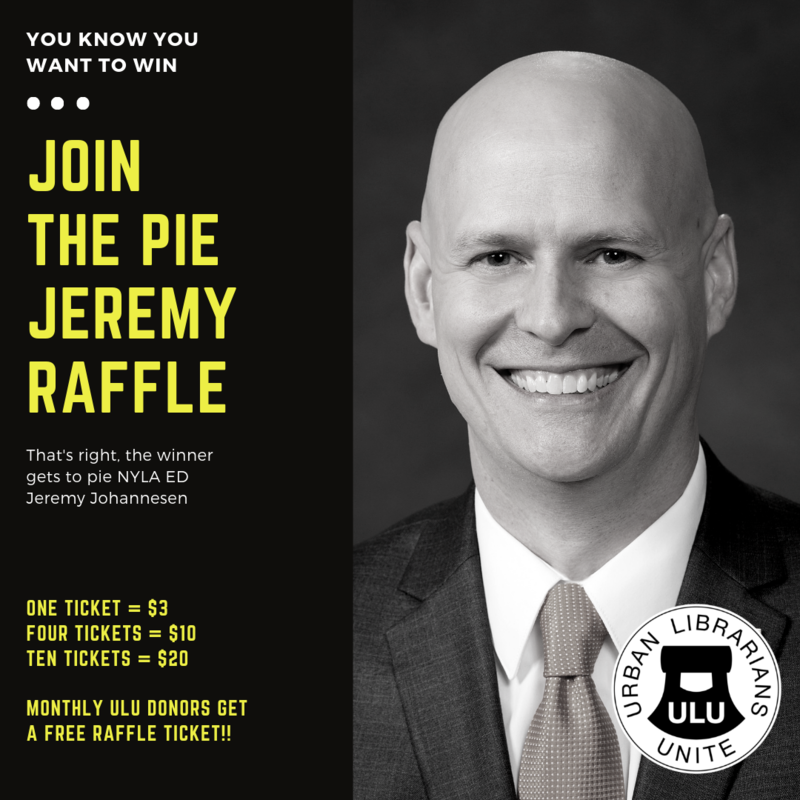 On the practical side, there are gonna be a lot of kids at these events and this is a great way to engage families and children in solidarity and support.We hope that one day every.single.one of those kids will be able to attend a great storytime in a local library with their families. Let’s keep a spot open for them. It’s an easy, effective, and powerful way to raise your voice in support of kids and families.